know what's fun? sleep. sleep and relaxation and mexican food and more sleep. hence my lack of blog posting. I'm working on editing the thousands of holiday pictures so I can get some real content up on here before I take off again! 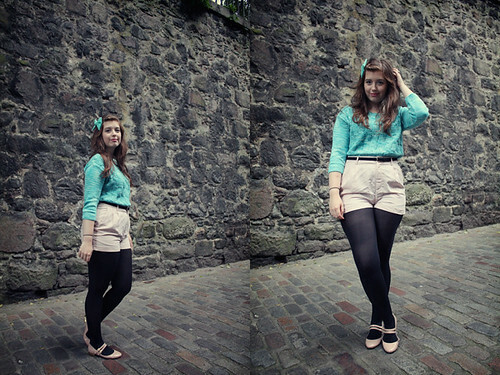 ...for now, a little outfit post and few notes that have nothing to do with my vacation! - I've read two books in the past week or so; Oryx & Crake by Margaret Atwood, and Amsterdam by Ian McEwan. the former is one of the best books I've ever read. the latter, I was not impressed with. in fact I didn't like it at all. McEwan's writing style can be tedious at the best of times, but this book didn't have enough redeeming qualities to compensate for that fact and the bizarre premise. and I usually really like him! but Oryx & Crake is phenomenal and Margaret Atwood is basically a literary goddess. read it. seriously. - my faith in the film industry has been (at least temporarily) restored this summer. not only was The Avengers one of the best things to have ever happened to me personally, but The Amazing Spider-Man lived up to it's name, and Seeking a Friend for the End of the World was a pleasant surprise. and I am seriously pumped to see Brave, The Bourne Legacy, The Great Gatsby, Django Unchained, and about a dozen others coming out in the next few months. film may once again topple tv in claiming the throne to my heart. - and The Dark Knight Rises deserved it's own point. I'm going to see it asap. oh. my. GOD. 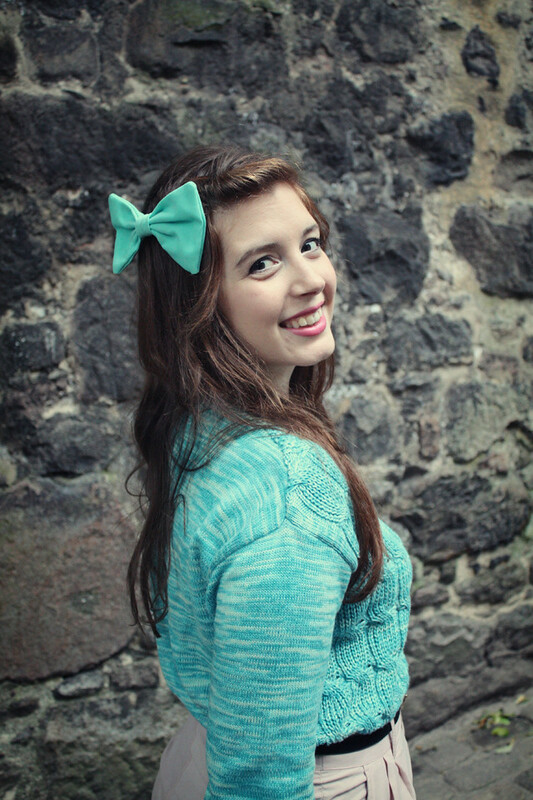 oooo my goodnesss i love love love this bow in your hair it is perfect with this sweater! Welcome back! Hope you had an unforgettable trip! Adorable outfit! 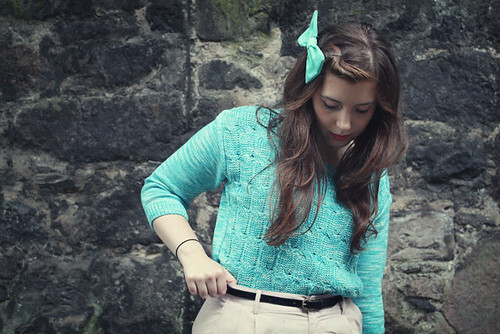 Love the mint colors!